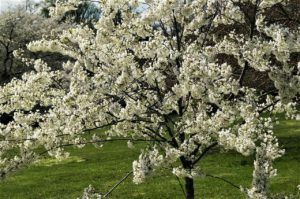 This blog was written in conjunction with Kurt Jacobson. Travel writer and a Baltimore local. To get you started, Baltimore’s Inner Harbor is the center point when visiting this historic city. A mix of old and new attractions, restaurants, sporting venues, and parks are all within walking distance from this central point. It is one of the many reasons what makes this city a great destination! Baltimore is easily reached from BWI Thurgood Marshall International Airport by car, taxi, train, light rail, or bus. If arriving by car Interstate 95 brings visitors in from the north and south, and Interstate 70 from the west. Amtrak serves Baltimore at both the Penn Station and BWI Airport Station for those using train travel to get here. Luckily most attractions in the centre of Baltimore are within walking distance of the Inner Harbor. However, like any other city, it does rain here in which case the best alternative to walking are the Charm City Circulator busses which are free and cover almost everywhere where you’d want to go. Don’t forget that just in case you do bump into some bad weather, check out the attractions on Traveloris under the ‘Rain’ filter to find out what activities are undercover! 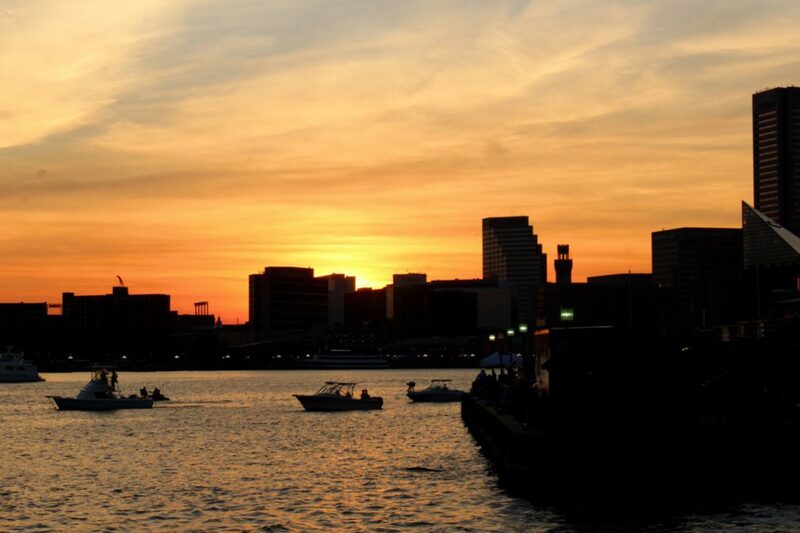 Baltimore’s Inner Harbor and East Harbor are the most charming places for a hotel stay. If you’re looking for luxurious accommodation with a view then the Four Seasons is the ultimate choice. For a clean and modern middle-priced hotel try either Homewood Suites or Hilton Garden Inn. They share the same reception area but offer two distinctly different properties. Let’s start off with a real standout, famous people. Baltimore celebrates the life of a lot of famous people including George Herman ‘Babe’ Ruth, Baltimore’s native son who became America’s first sports celebrity and an international icon. You can learn everything about Babe Ruth with a visit to Babe Ruth’s Birthplace and Museum. Famous American writer; Edgar Allan Poe lived his final days in Baltimore and you can discover more about him at the Edgar Allan Poe House and Museum. Most of the exterior and interior of the house are still in original fabric from the 1833-1835 period when Edgar lived there with his aunt, grandmother and two cousins. It’s a strange feeling walking on the same floorboards as he once did! As mentioned, you must explore the Baltimore Inner Harbor. And, while you are there grab yourself a Squadron Pass to the Historic Ships in Baltimore and jump on-board the USS Constellation and the USS Torsk (SS-423) for a fun, unique, and interesting experience. I mentioned culture earlier on, so here are some of my favourites to experience and learn a bit about Baltimore’s History. Finally, another must visit (as well as a fun fact for you) is the Star-Spangled Banner Flag House where Mary Pickersgill sewed the garrison flag which flew over Fort McHenry. It was also this flag which inspired Francis Scott Key to write the lyrics for US National Anthem! You see? Baltimore is packed with Culture! One last thing, for a bit of fun and a trip down memory lane visit Geppi’s Entertainment Museum. It’s a privately-owned museum dedicated to pop culture with a lot of great memorabilia. I highly recommend it. Getting a good vantage point of a skyline is something you should always lookout for when you visit a city, and Baltimore is no exception. Washington Monument & Observation Deck: Built before the monument in Washington DC (fun fact), this is the first monument dedicated to America’s first president, George Washington. But there’s more to it, climb up the 228 steps for one of the best views of Baltimore, it will only cost you a couple of dollars! 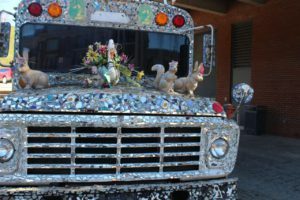 Are you visiting Baltimore with a few of the little ones? Well I’ve got some good news for you! Baltimore has plenty to offer that will keep them happy, but also keep you entertained! Baltimore’s Inner Harbor is a great place for the whole family. Consider taking the kids on one of the Historic Ships, the National Aquarium, or the Maryland Science Center which is an incredibly informative and interactive option. If your kids are under 10, consider Port Discovery which is also close to the harbor and an absolute blast. The outdoors is always a great option if you are traveling with kids so they can burn off some energy. So, if you want to get outdoors without having to travel far, consider a quick visit to Federal Hill where you can also take in some of the best views of the Baltimore Skyline. Another good option is Patterson Park where there’s playgrounds, a boat lake, picnic pavilions and the observatory which is a pagoda-style building and a must see with great views from the top. A few other kid-friendly attractions to consider (which you can find on Traveloris) include the Maryland Zoo, the B&O Railroad Museum, and the Baltimore Streetcar Museum which is open from April – December and is apparently considered one of the best Kid-Friendly attractions in Baltimore. try Patapsco Park. Patapsco Park is a HUGE park that extends along the Patapsco River, and it is less than 15 miles from the Baltimore city center by car which is a big bonus. You can easily spend a whole day there hiking and exploring nature. Two more parks I recommend are Druid Hill park, it’s one of the first large public parks in America and Baltimore’s first large municipal park, it has a beautiful lake and is a great way to escape the city. And, for something a bit more ‘outdoorsy’ check out the Double Rock Park, I think it’s quite incredible that you can find this kind of nature so close to the city, the 1.6-mile-long trail is a worthwhile trek. I am a huge fan of tours, especially local guided tours because you will learn things you simply wouldn’t otherwise, and tours are often the difference of turning a trip into an experience. 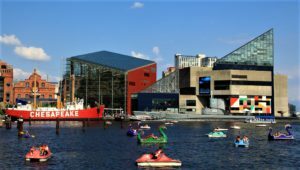 Traveloris has a few great options to choose from, but my favourites are the Baltimore Free Walking Tour as it’s a great option to see the city, or if you don’t want to walk as much try the City Safari-Baltimore Segway Tour. There are several great day trips from Baltimore. Hop on the MARC trains or Amtrak to visit Washington DC without dealing with I-95 traffic. Head north by Amtrak and see either Wilmington, Delaware or Philadelphia. If you have a car historic Ellicott City is a pleasant pedestrian friendly town to see and is less than 20 minutes from downtown Baltimore. Annapolis and the Naval Academy are popular day trips by car also. There are 10 Restaurants I have chosen for Traveloris which you can find by selecting the restaurant filter, however these 5 are my favourite…. La Cuchara serves the best Basque and Spanish food in Maryland. Hiding in the historic Meadow Mill building this dinner establishment is quickly becoming a local’s favourite. 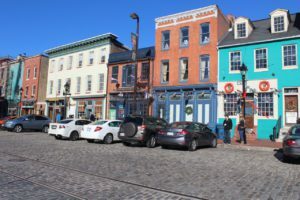 If you’re looking to do a bit of shopping in Baltimore than for small mom-and-pop shops walking the East Harbor area over to Fells Point is a good choice. However, for a mall experience the Towson Town Center Mall is probably the best mall in Maryland and only a short distance from downtown by car. Watch as the city transforms with world class light displays and sculptures, video projections on buildings and interactive technologies. Get together with filmmakers, students and the general public in this great film festival (MdFF), it’s worth it just for the atmosphere. A really fun summer street festival that celebrates the women who made Baltimore into the great city it is today. Americas largest free art festival, featuring over 150 artist’s, designers, and craftspeople! You’ll see hundreds of local, celebrity, and nationally known authors. All day long there are book signings, readings on multiple stages, cooking demos, live music, great food the list goes on…. Celebrating new and innovative theatre and performing arts in Baltimore. Spend some time in Fells Point, it’s a showplace for Baltimore’s maritime heritage. Many of these buildings were around in the age of sailing ships. Wander the blocks of old row-homes and find places like One Eye Mikes, and Black Olive for food and drink. Both areas are relatively safe but be cautious as you would be in any big city at night. Also, make sure to check out Thames St.
Baltimore has so many hidden gems and attractions you wouldn’t otherwise think of visiting. Planning your trip to Baltimore with Traveloris is the perfect way to experience more! Like all our cities a lot of effort has gone into working with local travel experts (like Kurt) to ensure you can choose from the best!